Leading Ayrshire-based architectural practice ARPL Architects Ltd are pleased to report that there was excitement recently at Peak Scientific headquarters on the Inchinnan Business Park, as Peak Scientific managing director Robin McGeachy (pictured below) cut the first sod for the start on a large extension to their production facility. Peak Scientific is a specialist environmental engineering business manufacturing gas generators for medical and laboratory equipment and scientific instruments, and has a strong worldwide order book with significant growth projected over the next few years. 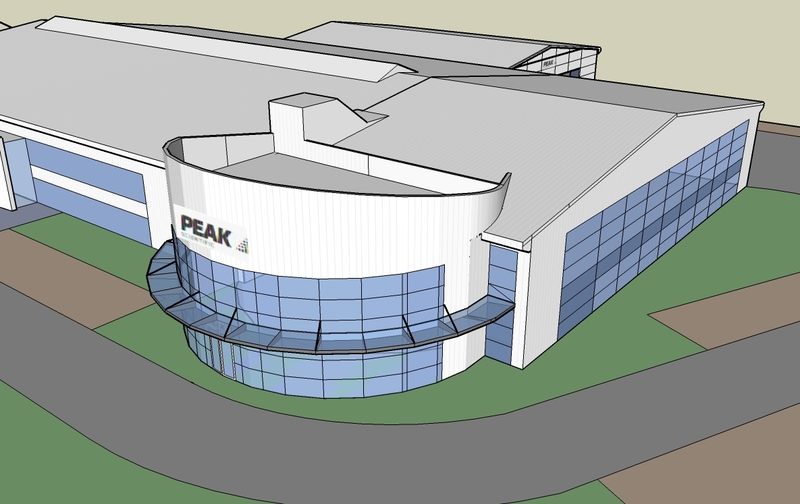 The extension (artist’s impression above) provides new administration and management offices and additional warehousing which will free up existing accommodation for greater production capacity and research and development engineering. Planning consent was gained last summer for the £2million development designed by ARPL director Rebecca Cadie. Rebecca Cadie (pictured above) trained at the MacIntosh School of Architecture, Glasgow University and prior to joining ARPL Architects Ltd in 1999, worked in Glasgow, Edinburgh, Sussex and London, on a variety of project types, including bespoke commercial developments. She has developed a particular interest and expertise developed in conservation and ecclesiastical buildings. She serves on church property committees at National and Diocesan level for several denominations. Through her lead several members of staff at ARPL have developed expertise in church repair and new project work. Rebecca is responsible for managing the practice continued professional development (CPD) programme and mentors ARPL students and trainees. The directors of ARPL Architects Ltd are Patrick Lorimer, Rebecca Cadie, Gordon Fleming and Robert Gilliland, (pictured above). 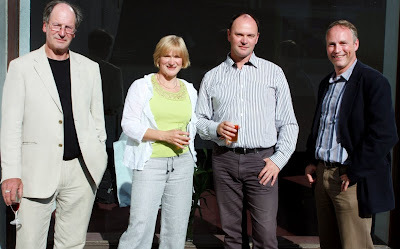 John Ramsay, Stewart Glendinning and Kenneth Handley are associates.